imaging, Ben Guska, standing next to the new machine. 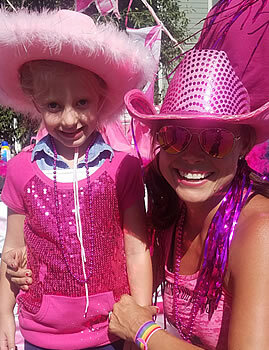 It makes sense that a community like the Gunnison Valley — which sets Tough Enough to Wear Pink (TETWP) fundraising records every year at Cattlemen’s Days — should have state of the art breast cancer detection equipment right here at home. All that TETWP money stays in the local community, after all, to directly help those fighting through a cancer diagnosis. As of this year, that’s exactly what’s happened. 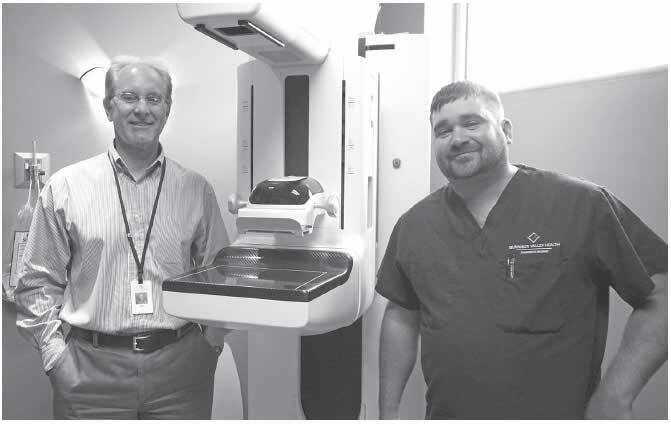 This summer Gunnison Valley Health (GVH) received a cutting-edge 3D tomosynthesis mammography machine, purchased and donated by the local TETWP chapter. TETWP Executive Director Heidi Sherratt Bogart said the $360,000 purchase is the largest single donation in the organization’s history. The machine is also better able to detect early signs of cancer in breast tissue that is more dense than usual — a common occurrence among women who are more physically active than most. Bogart said the addition of the new machine brings GVH on par with one of the best breast cancer facilities in the state — Invision Sally Jobe, a multispecialty imaging network available on the Front Range. GVH in recent months has worked to improve the quality of radiology readings — forming a new partnership with Radiology Imaging Associates (RIA) which will allow the new 3D machine to be utilized to its fullest. RIA is a group of 90 radiologists located in Denver, all of whom are subspecialists in their particular field, said GVH spokesman Tyler Hansen. It is the same group that runs Invision Sally Jobe. “When that level of expertise is coupled with a piece of equipment as advanced as our new 3D Tomosynthesis Mammography machine we can offer a level of quality that rivals absolutely anywhere in the state,” said GVH Chief Executive Rob Santilli.